Connie grew up in Mount Isa, Queensland, the first child of immigrant parents and could not speak English when she started school. Connie trained as a tracer on a drawing board initially incorporating her artistic talent and creativity, but in the 80's Computer Aided Drafting took over. Eventually she realised that the workforce was changing and that this was no longer the career that had given her job satisfaction she so craved. 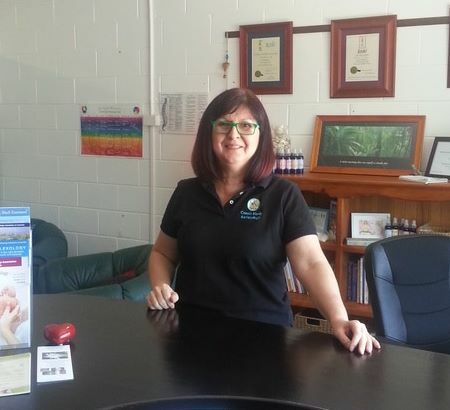 Connie contemplated turning to her love for Reflexology and other hands-on wellness practices where she could connect with people and make a difference. A series of challenging childhood and adult events including problems with her voice, had led her in the direction of complementary therapies. Connie first trained in Bowen Technique in 1998 after experiencing relief of neck problems, (caused by whiplash from a car accident), and then completed her training as a Reflexologist in 2008. Connie has since completed Training in Reiki, Pranic Healing and is also a Shell Essence Practitioner. She has recently completed Level 1 in HeartSpeak, which is a powerful, new stress-reduction process which allows unresolved emotional conflicts to be finally resolved. In October 2017, Connie trained in Reflexology Lymphatic Drainage with it's founder, Sally Kay. RLD finally quantifies the results Reflexology can catalyse in the body. Through volunteering her Reflexology services, Connie has realised that her life path is directing her to help others heal their illnesses and diseases as she is healing herself and to empower others to overcome their fears by recognizing that each challenge is a gift which can help us evolve into more loving and compassionate beings. Part of that is to recognise that the only way forward is to live in the moment and focus on what we wish to bring into our lives.